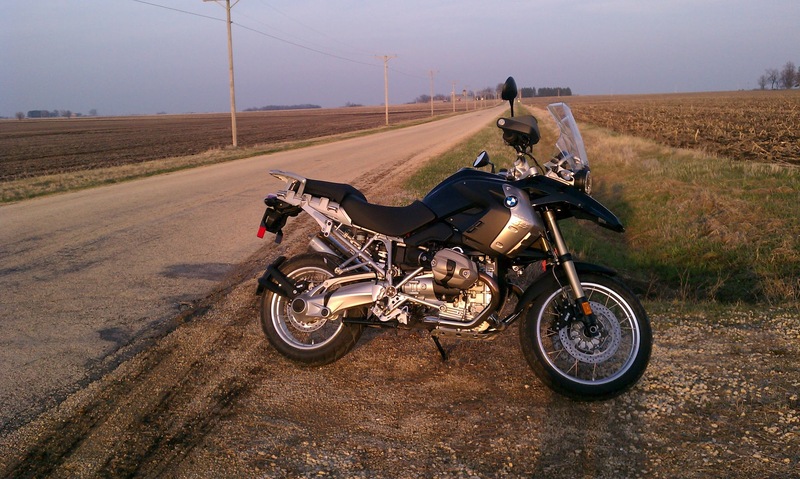 My 2011 BMW R1200GS as it came! After riding the KLR650 for one season and getting a chance to ride the BMW R1200GS at the RawHyde Offroad School, I knew that it was just a matter of time until I would be getting one. That happened today! I went to Cycle Werks in Barrington where they had a white 2011 in stock. It has ABS, ESA, hand guards, trip computer, cross-spoke wheels and TPM. I didn’t want white, but they didn’t have a black one. Luckily, all the colored parts are easily changed so arrangements have been made to have it swapped over.